Let’s talk about Pompeii, it’s a very obvious question but why did you decide to return? 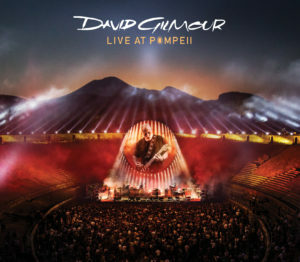 David Gilmour We were looking around and making suggestions for new places to play because in the Summer of 2015 we had done a number of lovely venues some of which were beautiful Roman amphitheatres. I don’t want to get completely stuck only in amphitheatres, but someone said ‘hey why don’t we try for Pompeii again?’ we doubted that they’d allow it, but we thought we’d give it a go. So we sent our trusty team off to negotiate with the town of Pompeii, and it turned out that the mayor and the townspeople were thrilled with the idea and were very keen to expedite it. They all made it all work fantastically well. Did you and Polly talk a lot about doing it, because doing something like that you’re making quite a statement, aren’t you? David Gilmour The statement element of it came along a little bit later. I don’t think we originally were that concerned – it was just one of a number of places we were playing. At some point we thought, well we did okay with it back in ‘71 when it was without an audience, so maybe it would be fun to do the do the DVD there. We recorded a number of shows all over the world and filmed quite a few, but we thought this one would be something extra special, which indeed it was. The two shows went really well. Before returning did you go back and watch the original movie? David Gilmour I didn’t. I find it rather embarrassing. I’m sure it’s a lot of fun for many people, but not much for me. What are your memories of doing that particular performance? David Gilmour Well, the doing the actual recording in the amphitheatre back then in Pompeii was great. But we had to turn it into a more interesting document of what was going on. Adrian Maben (the film’s director) wanted to make an art film with art and music in a special place. So the idea changed a bit and it felt to him and to us that more stuff was needed. So we went to a studio in Paris to do some cutaways and film some extra moments and then he came to Abbey Road where he filmed us finishing off the recording of The Dark Side Of The Moon. It captured a moment in time. I cannot imagine the complexity and the scale of staging a gig in an ancient site like that. I imagine it would be even harder these days because of the scale of the show. Quite how difficult a project was it to get off the ground? David Gilmour I’ve seen photos of the crew having to push road boxes along little paths made of metal hundreds of yards long to get into the venue. Our production manager said there were major, major problems to be overcome but that’s his job, and he does it brilliantly. Whatever we throw at him he gets done. I guess there’s going to be every possible level of national and local historical conservation organisations that had to be placated? I’m just trying to imagine a conversation where someone says it will be very loud music and pyrotechnics in this ancient site. Is it a good idea? David Gilmour All of that had to be negotiated; you know we’re a very professional outfit. Things like the fireworks and pyro etc. are designed to look exciting and haphazard. You want it to look, dangerous but it’s actually very carefully done and controlled and our people know exactly what they’re doing. It’s a highly professional system, and so no damage was done to the site. You have to convince people that you are that sort of organisation. We’ve been through that in the 70’s. That highly dangerous sort of stuff was, in fact, highly dangerous in those days. Health and Safety didn’t exist pretty much, and there were a lot of very shaky moments on major tours. But these days it’s very slick. Did you ever have any second thoughts about doing it? David Gilmour No. The minute the idea of playing in Pompeii was mooted, I said, go for it. Absolutely. I said we’ll never get it. I didn’t think they’ll allow it but we gave it a go, and we did it. Were you aware that obviously it was going to open the doors in the minds of the media to Pink Floyd again? Was that something you were wary of? Were you were worried about the media obsessing over that? David Gilmour You can’t worry about the media – they’re going to find something to obsess about. And the story of will we, won’t we, comes up time and time again and will never go away, I suspect, however convincing I try to make the argument. In a way was this maybe doing Pompeii a nice way of sort of drawing a line on that one part of the legacy? David Gilmour Let’s hope so! Tell me about those first steps into the amphitheatre in Pompeii? David Gilmour Well when Polly and I walked in it brought back to me all sorts of memories of the times we had when we were there and the Heath Robinson sort of set up that we had at the time. We had a Brenell eight track tape machine sitting at the back and hundreds of little wires and a little mixing desk. It’s amazing that we got anything as good sound wise out of it as we did at the time, doing take and take again in the blazing hot sun. So going back this time there were all sorts of memories and ghosts hanging around in that place. And the original film’s director Adrian Maben was there as well as Mary Beard? David Gilmour Yes. Entirely coincidentally Adrian Maben was there with an exhibition of photos from 1971. It was not connected to our visit. It was booked to be there anyway in. We had talked about getting someone who would be good to have there to talk about the place itself. Mary Beard was mentioned. It turned out that she was coming to the concert anyway. So things serendipitously just fell into place. As you say for many people for the audience, this was an exciting moment, seeing you play anyway is a big deal; you could really feel it in the queue before people came in. Could you tangibly sense that? David Gilmour It felt like it was a very special gig to be doing, we were in a run of fairly special gigs, but this one was more nerve wracking and more exciting. It was small because the seating around the outside, which would have held another 10,000 people or so is still covered in earth and grass and people can’t sit there. So we had a limit on the number of people who could be there in the audience only on the floor itself. I was unusually nervous, but we got to the end of the first night and thought yes, we cracked it. It was really good and the second night was even better. Did you have a clear idea of the kind of production that you wanted? The whole site is utilised. David Gilmour We talked about it a lot with Marc Brickman, and who was putting it all together and fitting everything into that venue was a challenge for him. It’s more or less the same show that we’ve been doing everywhere else except there was the opportunity to put things round the rim; fireworks, flaming torches and things to help to create more atmosphere. We had drones filming from about a mile away and you see a tiny little circle in the distance with light and smoke sort of pouring out and pulsing, it’s spectacular and beautifully shot. There is real light and shade in the show, but there are some bombastic moments I think it’s fair to say. David Gilmour And I haven’t managed to grow out of those yet. I keep thinking that bombast is a thing of the past, but it still sneaks back in. Big question: how do you sequence a set like that? It an enormous sort of pace and that’s not an easy thing to do. David Gilmour No. You fiddle around and change it. You do your best to make the songs have a sort of a shape to them and you have a first half and the second half. I’m obviously trying to build to something fairly climactic towards the end. You adjust it as you go through your tour until you think you have two or three different versions that all work more or less as well as the others. Was there always the idea of doing at Pompeii some music that hadn’t been showcased for a while? David Gilmour We did The Great Gig in the Sky, which we hadn’t done before on that tour. I hadn’t played it for years and years, but we had rehearsed it in England. Louise Marshall and our singers had put together an arrangement that was fantastic, and we couldn’t wait to try it and it was tempting to give it away early. I had a largely new band and we’d only done maybe half a dozen shows before we got to Pompeii. We had to open up in Wroclaw in Poland playing on live television with live sound mixing and broadcasting with a largely new band who’d never done a show with me before. That was pretty scary. And of course, we did One Of These Days, which we hadn’t been playing on the tour. That’s the only song that we played there with Pink Floyd back in ‘71. It’s an awful phrase but you’re taking the audience on a journey, that’s how it felt. David Gilmour You want the whole thing to start and finish and have kind of a narrative of moods that run you from the start to the finish. You want a climactic moment at the beginning of the first half and then start the second half with another big moment. A lot of time is spent putting all that together and working on it until you think it’s really going to work, you have to keep adjusting till you’re certain. Did you get up to stretch out and improvise much? 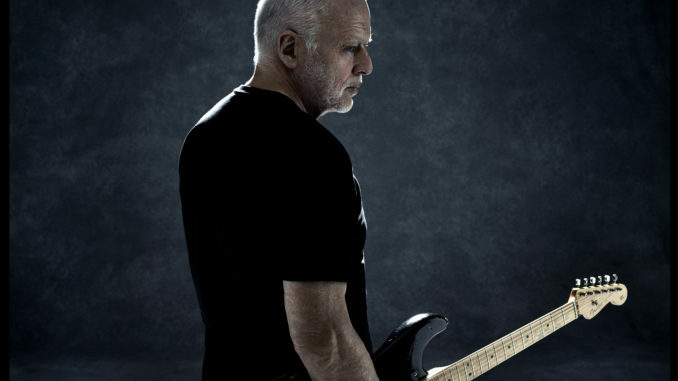 David Gilmour Yes, there are a number of songs, which have moments for improvisation. I get to do most of it of course but Chuck (Leavell), Greg (Phillinganes), João (Mello) on the Sax and Chester (Kamen) are the new people on this leg of the tour and they all get their moments to stretch out. I’m into perfection in a way, but at the same time I don’t want the songs played perfectly as on the record. I want it to be live music. I want people who play with me to have some autonomy to be able to change a bit in something that suits them and suits the mood of the moment. And of course, if that goes wrong we discuss it afterwards! But I would rather that we go for something and enjoy actually playing and making music rather than holding them tight to a format. David Gilmour João Mello, a young chap from Brazil is a beautiful sax player. He’s really good. He had his 21st birthday when we were in Brazil, playing in his home town, and it’s kind of special to think of all the different ages all playing together in a band and feeling like you are part of something together. Did you mention this idea of sharing the stage with some ghosts? Is this significant for what it represents and people that weren’t there? David Gilmour Well you know there are songs that Rick Wright wrote; The Great Gig In The Sky, and there’s a song for which I wrote the music and Polly (Samson) wrote the words, which is about Rick, called A Boat Lies Waiting which we put into a sequence. Wish You Were Here always reminds me of Syd (Barrett) when we play it. And in a place like Pompeii, those things are heightened because of the time we spent there all those years ago and because of the special occasion. These things all come on to you while you’re performing and hopefully heighten the emotion of the occasion for the audience as well. Where you able to enjoy it knowing that it was being filmed? 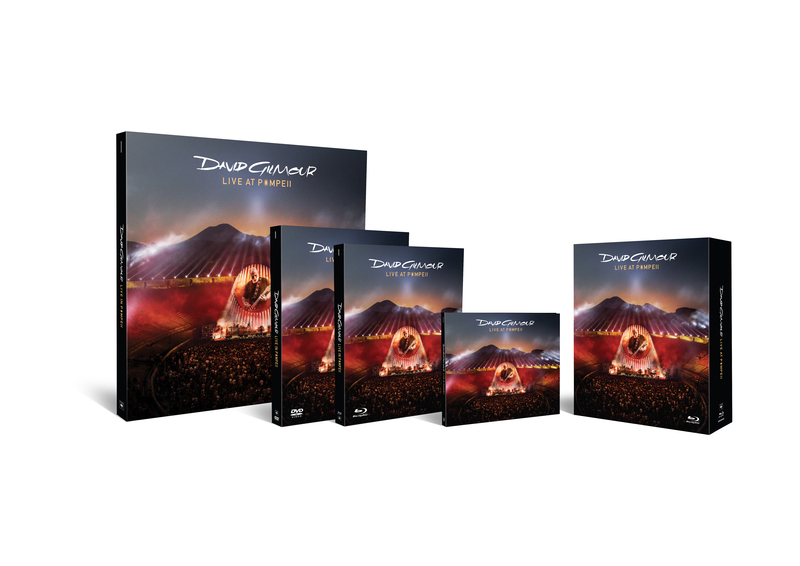 David Gilmour Yeah absolutely, I had the time of my life! Thoroughly enjoyed it doing that.